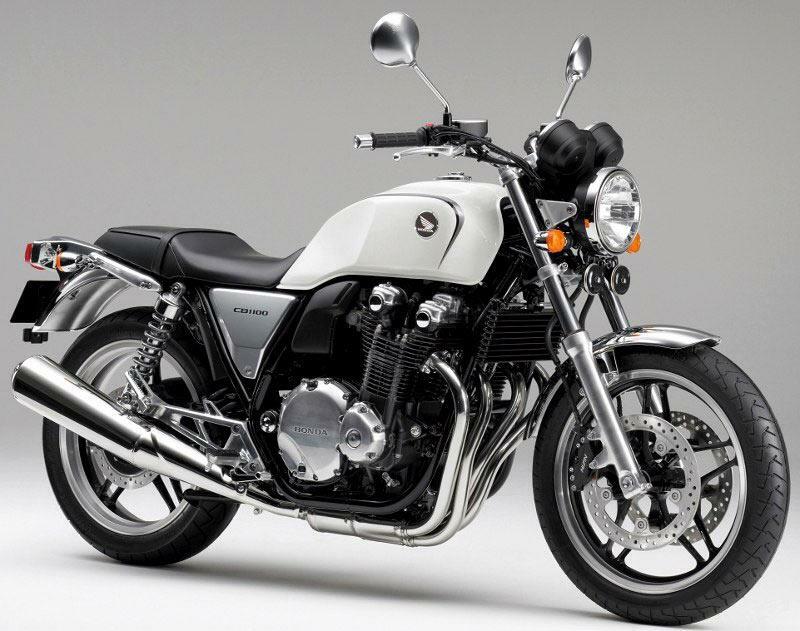 The air-cooled retro CB1100 will finally be reaching UK shores. The fuel-injected 1140cc DOHC inline four boasts 87bhp, tips the scales at 247kg, and the vertically challenged will appreciate the 775mm seat height. It may be retro, but it also sports Honda's Combined ABS braking system. 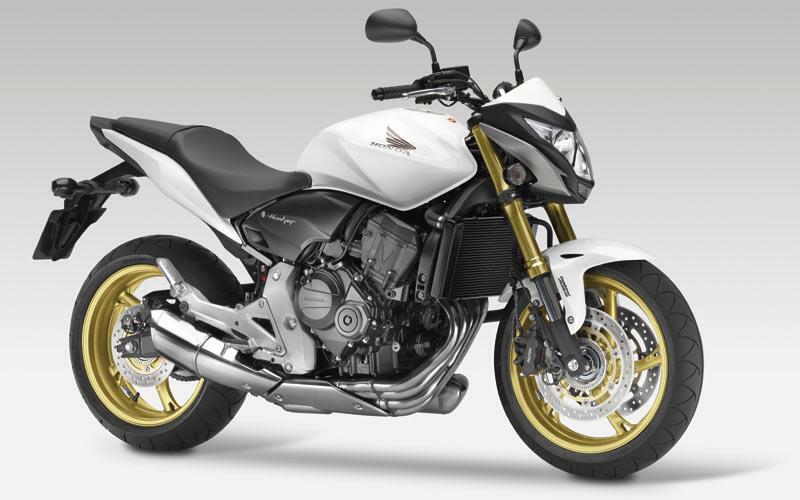 There's still no word on a production CB1100R, sadly. 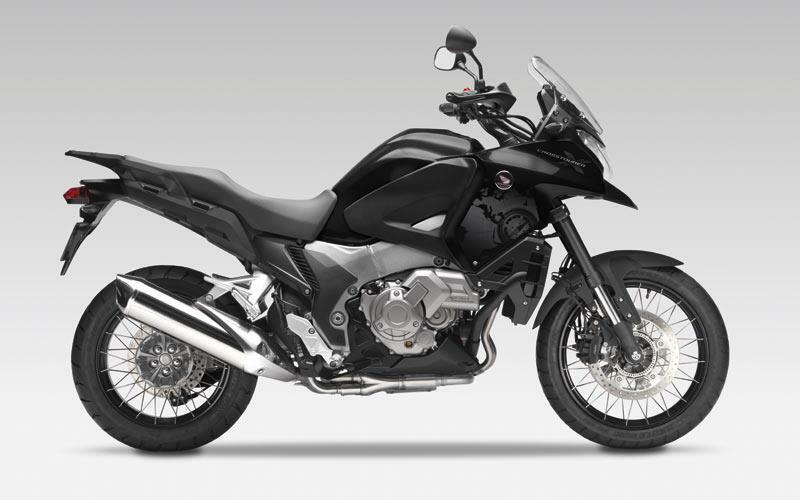 Matt black styling, and a tacky compass motif are not really enough to claim Special Edition status – but it’s there if you like it, and is available with Honda’s Dual Clutch Transmission technology. 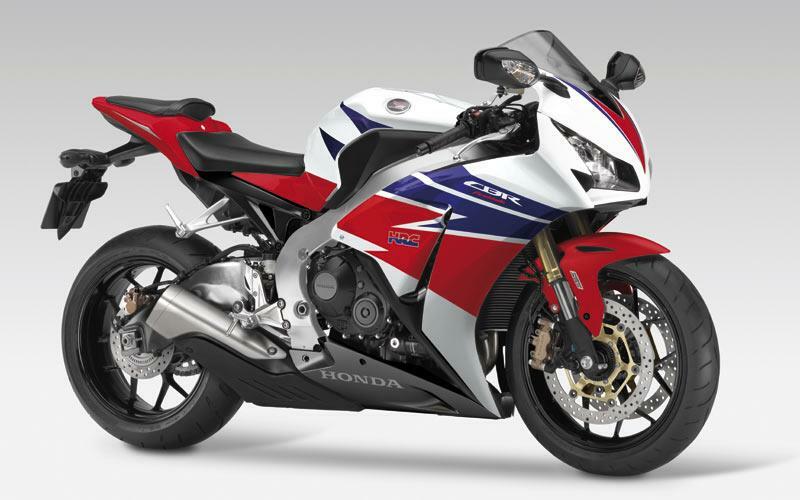 The awesome ‘Blade gets a new version of the popular Tricolore paintjob for 2013. 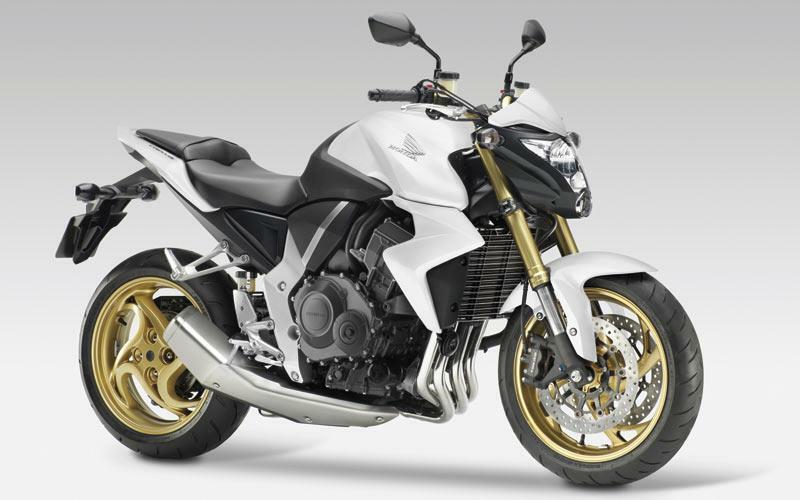 The CB600F Hornet and CB1000R get splashed with matt white as a colour option for 2013. 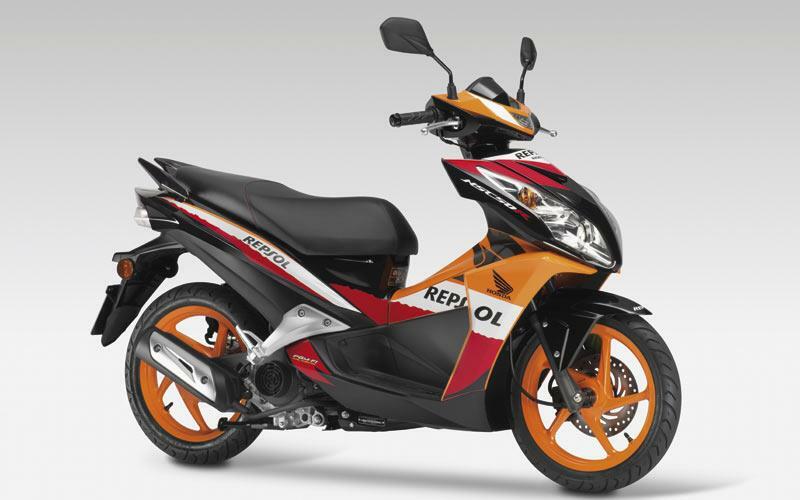 The NSC50R is a new 50cc scooter aimed at young new bikers, and features Honda’s Combined Braking System, and is even available as a Repsol Honda MotoGP rep’.